In 2017, the American Kennel Club listed two brachycephalic breeds (French Bulldogs and Bulldogs) in its top 10 most popular breeds, and eight brachycephalic breeds (French Bulldogs, Bulldogs, Boxers, Cavalier King Charles Spaniels, Shih Tzus, Boston Terriers, Mastiffs, and Pugs) are in the top 31 most popular breeds. The numbers of AKC-registered Bulldogs and French Bulldogs increased by 69% and 476%, respectively, from 2006-2016. 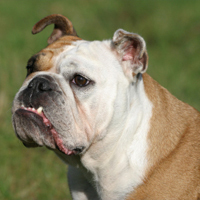 Brachycephalic breeds comprise three of the top six most popular breeds in the United Kingdom. Registrations of the French Bulldog have grown almost tenfold in 6 years; this breed is expected to be the most popular dog in the UK in 2018. There are 24 dog breeds with brachycephalic conformation. In addition to those noted above, brachycephalic breeds include: Affenpinscher, Brussels Griffon, Dogue de Bordeaux, Japanese Chin, Lhasa Apso, Brasileiro, and Pekingese. Although brachycephalic breeds are at increased risk for numerous morbidities, their inability to breathe normally is considered the greatest impediment to their welfare. Brachycephalic obstructive airway syndrome (BOAS) is a consequence of the shortened noses and skulls of these dogs and includes: 1) elongated and thickened soft palate; 2) stenotic nares and 3) everted laryngeal saccules/laryngeal collapse. Computed tomography (CT) studies have confirmed that aberrant caudal nasal turbinates may be a contributing factor to BOAS. Clinical signs of BOAS can include dyspnea (difficulty breathing), stertor (noisy breathing), exercise intolerance, regurgitation/vomiting and overheating. Brachycephalic dogs have decreased capacity for thermoregulation compared with non-brachycephalic dogs. Brachycephalic dogs have lower oxygen saturation levels in the blood than non-brachycephalic dogs. Clinical signs due to upper respiratory disorders were noted in 22% of dogs with extreme brachycephalic conformation. 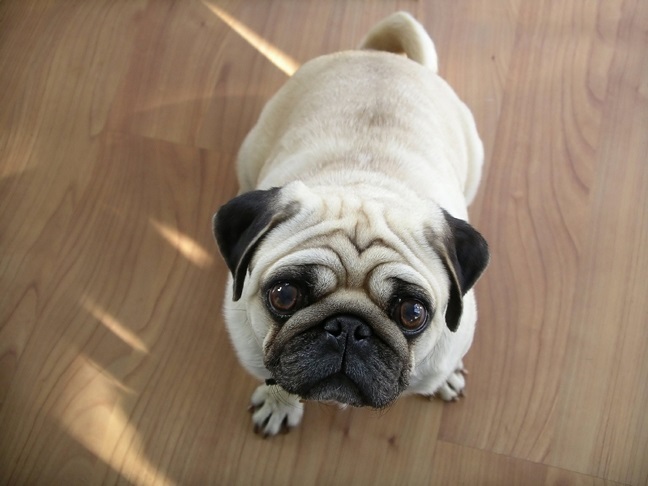 Objective measurements using novel methods including functional grading systems and plethysmography have determined that 50% of Pugs and French Bulldogs and 45% of Bulldogs have clinically significant signs of BOAS. Obese dogs are twice as likely to shows signs of BOAS compared to dogs with normal body condition. Upper respiratory disorders were the cause of death for 17% of dogs with extreme brachycephalic conformation (Pugs, Bulldogs and French Bulldogs) compared to 0% for all other breeds of dogs. The lifespan of dogs with extreme brachycephalic conformation is younger (8.6 years) compared to all other breeds of dogs (12.7 years). Oro-pharyngeal examination has been the conventional diagnostic test for BOAS for decades. Use of exercise tolerance tests increases diagnostic sensitivity for detecting BOAS. CT of the head, posterior rhinoscopy, and oro-pharyngeal examination are now considered evidence-based diagnostic tools for BOAS. Providing pre-purchase/pre-adoption consultations with clients considering acquiring a brachycephalic dog. Advising against breeding any dog suffering from symptoms of BOAS. Studies are underway to develop genetic testing which could exclude dogs likely to be severely affected or to pass on BOAS, from breeding programs. Learning about exercise tolerance tests as part of annual examinations to improve diagnostic sensitivity. The accurate prediction of exercise tolerance and functional grading from plethysmography data has allowed breed clubs for Pugs, French Bulldogs and Bulldogs to include clinically supervised exercise testing in their health schemes. Raising awareness amongst clients of the role of obesity in worsening BOAS symptoms. Educating clients that respiratory sounds such as snorting and snoring are not normal, but rather are clinical signs of airway obstruction and compromised breathing. Collaborating with breed clubs to develop and implement plans to improve the health of dogs with brachycephalic conformation. Reporting conformation-altering surgeries and C-sections in American Kennel Club (AKC) registered dogs to the AKC. Developing a practice strategy to clearly and consistently disclose the health problems experienced by dogs with brachycephalic conformation through all practice communication channels. Auger M, Alexander K, Beauchamp G, et al. Use of CT to evaluate and compare intranasal features in brachycephalic and normocephalic dogs. J Sm Ani Pract 2016; 57:529-36. Fasanella FJ, Shivley JM, Wardlaw JL, et al. Brachycephalic airway obstructive syndrome in dogs: 90 cases (1991–2008). 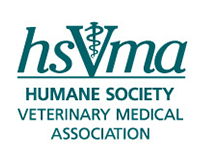 J Am Vet Med Assoc. 2010;237:1048-51. Fawcett A, Barrs V, et al. Consequences and Management of Canine Brachycephaly in Veterinary Practice: Perspectives from Australian Veterinarians and Veterinary Specialists, Animals 2019, 9:3. Ginn JA, Kumar MS, McKiernan BC, et al. Nasopharyngeal turbinates in brachycephalic dogs and cats. Journal Am Anim Hosp Assoc. 2008;44:243-9. Hoareau GL, Jourdan G, Mellema M, et al. Evaluation of arterial blood gases and arterial blood pressures in brachycephalic dogs. J Vet Int Med. 2012;26:897-904. Ladlow J, Liu, NC, Kalmar, L, et al. Brachycephalic obstructive airway syndrome. Vet Record. 2018.182:375-378. Liu N‐C, Adams V, Kalmar L, et al. Whole‐body barometric plethysmography characterizes upper airway obstruction in 3 brachycephalic breeds dogs. J Vet Intern Med. 2016;30:853‐865. Oechtering GU, Pohl S, Schlueter C, et al. A Novel Approach to Brachycephalic Syndrome. Laser‐Assisted Turbinectomy (LATE). Vet Surg. 2016;45:173-81. Packer RMA, Hendricks A, Burn CC. 2012. Do dog owners perceive the clinical signs related to conformational inherited disorders as normal for the breed?A potential constraint to improving canine welfare. Anim Welfare.21;S1;81-93. Teng, KT., et al. Trends in popularity of some morphological traits of purebred dogs in Australia. Canine Genetics and Epidemiology 3.1 (2016): 1.